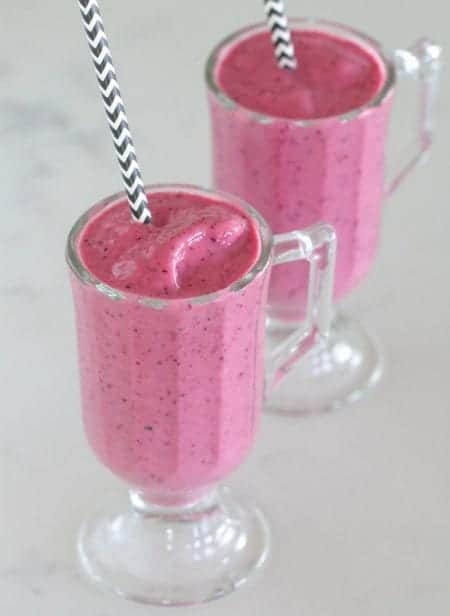 Delicious smoothie recipes sure make my mornings less hectic! 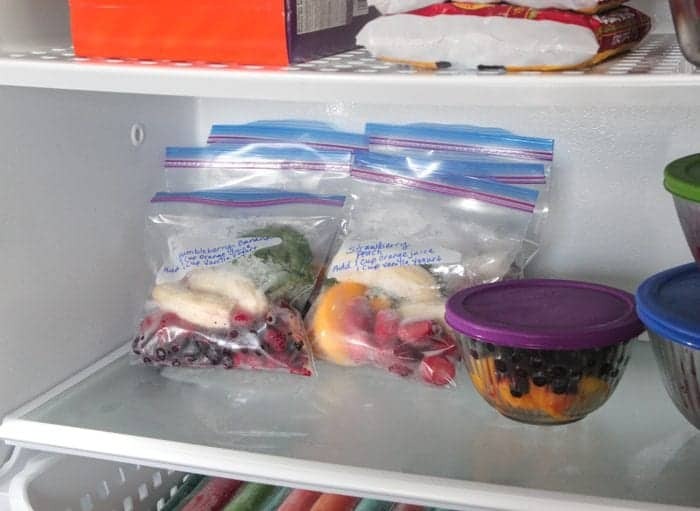 Having these smoothie freezer packs ready to go in your freezer make for a simple and healthy breakfast choice. It’s always a pleasure partnering with Frigidaire Gallery® to bring you new recipes for the whole family. Having our newly remodeled kitchen with Frigidaire Gallery appliances has given my kitchen new life. Can’t tell you enough how great it is cooking and baking now. What a difference! Be sure to check out the full kitchen remodel HERE. 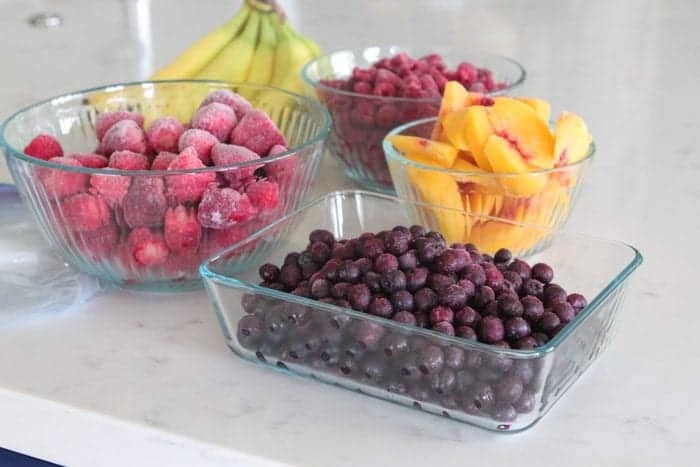 I selected some of my boys favorite smoothie fruits and place them into separate bowls for easy assembly. I always like to add a handful of baby spinach leaves for some extra greens. Write down the flavor of smoothie and any special instructions to complete your smoothie. 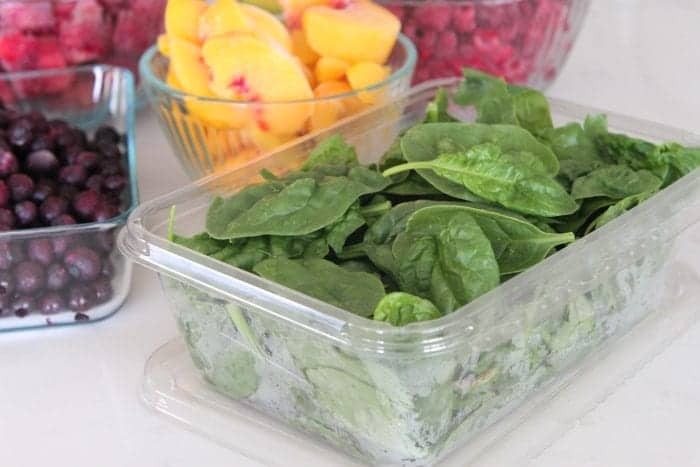 Spoon your fruit and vegetable choices into your zip top bag, seal and continue preparing. Get the kids involved too! They’ll love creating their own special smoothie blends. For this batch, I prepared three different varieties. Create as many or few as your family prefers. I like to place my smoothie packs where I can easily read the labels. Also, low enough where the kids can grab them. It’s so great having all of this extra storage. Makes all of my weekly grocery shopping trips less stressful knowing I’ll have plenty of room for my things. Loving the bright LED lighting in the freezer. Everything is easy to see and nicely lit. 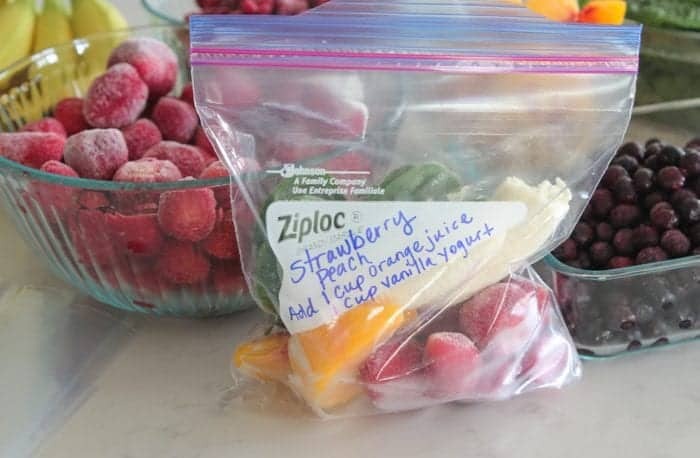 Get creative with your smoothie packs. Use your families favorite smoothie ingredients. Other great add ins are chia seeds, kale, nuts, peanut butter and other nut butters. 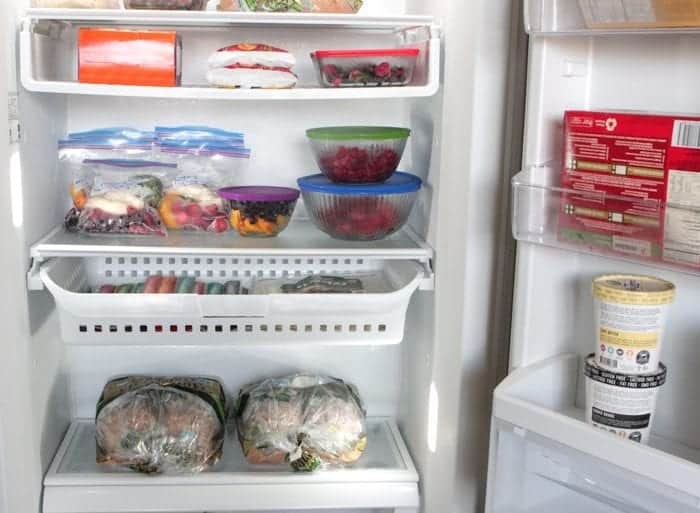 You can also adjust your door bins and shelves to your liking for the different items you might have in your freezer. Hope you enjoy your convenient make ahead smoothie packs! 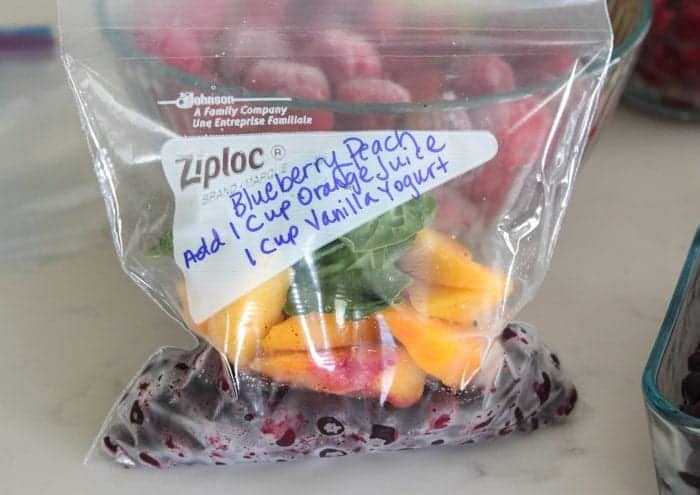 For each smoothie pack, place into high powered blender and add juice and yogurt. Blend until well combined and serve. Disclaimer: This post was in partnership with Frigidaire Gallery®, 2016. All thoughts and opinions are 100% my own. Thank you for supporting the brands that make Picky Palate possible. 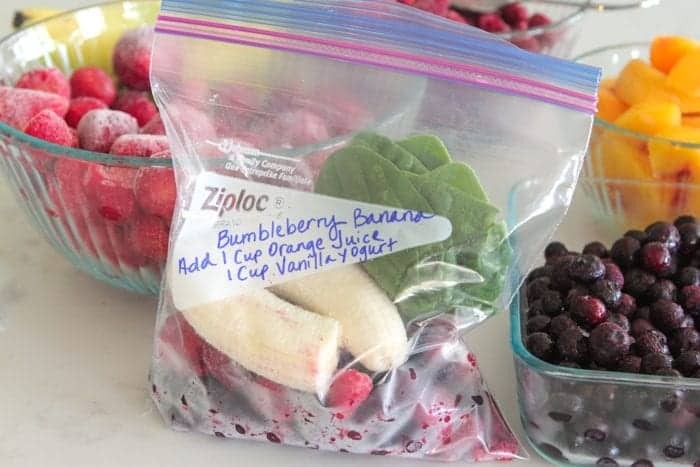 Pin Make Ahead Smoothie Packs! 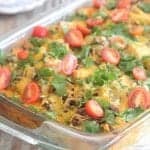 Perfect for business mornings or as pre or post workout snack! Such a smart idea and a serious time saver! This is such an awesome idea, I need to get on this!! That is the best idea ever! I need one of those for our garage! Love the smoothies. 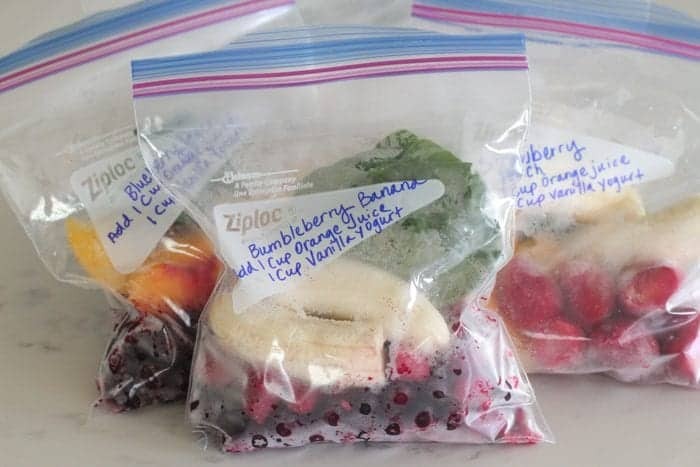 Such a great idea to have remade smoothie packs! This would save me a ton of time in the mornings! 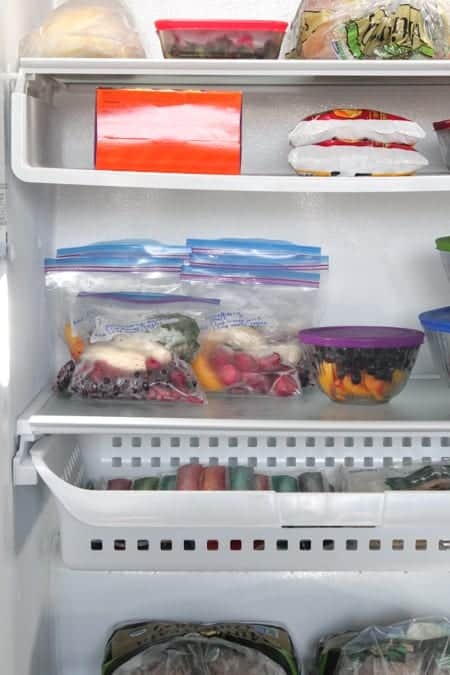 If I had one of these freezers – the things I could fill it with!! The make-ahead smoothies are such a good idea! What can be used instead of OJ? Can water or milk be used? I use water … Cheapest, fewest calories and easiest. Milk would be fine. Soy, coconut, cow, etc. What a great idea of quick and easy smoothies! Love this idea! Perfect for crazy mornings where you’re in a rush to get out of the door! This is so smart! I really need to do this! So perfect for busy school days! I’m so down for the bumbleberry banana!!! 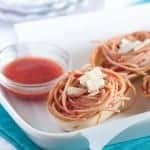 These all look amazing and are such a great idea to keep in the freezer! This is such a great idea…not sure why I have never thought to do that! I actually just had a service deliver pre-packaged smoothies and it was so expensive! I am totally going to do this next time!!! Question – I love all the ingredients but the orange juice. What would you suggest replacing it? They look soooo good. 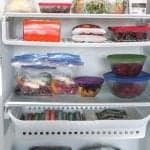 I am so envious of your freezer!!! 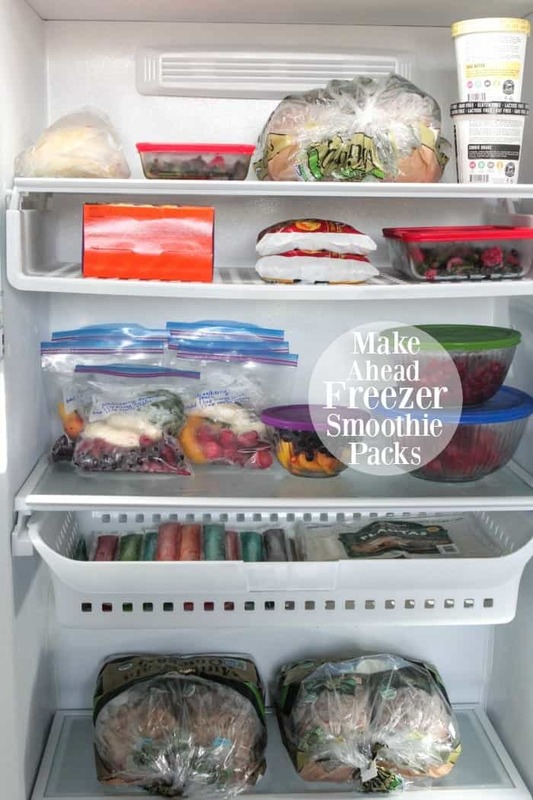 For my smoothies, I like to freeze ALL of the fruits and veggies. I slice the bananas, then freeze them in a single layer on a tray before throwing them in a zip baggie. I throw the spinach in a food processor with a little bit of water, and then I split the spinach into an ice tray so that each spinach “ice cube” equals half a cup of spinach. My smoothies: half a banana, frozen; 1/2 cup of spinach, frozen; half cup of other fruit, frozen (usually just grab a mix from the freezer section at the store); cup of almond milk. I am impressed by your recipes. None is too complicated. Your instructions are clear. Your photos are perfect and so attractive. Thank you for creating this useful and beautiful website.